The SP2-250 Cylinder Placing System is manufactured by GGA Packaging. The SP2-250 Cylinder Placing System will place cylindrical items such as straws. A rotary feed wheel allows room for the flex straw to bend and still be placed effectively without jamming. A simple five minute changeover allows other diameters. 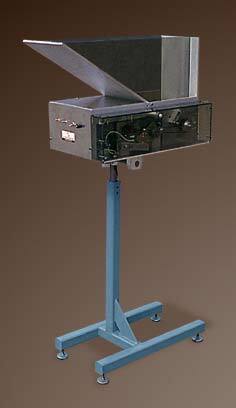 The hand loaded hopper has moveable side panels for different lengths. The rugged design allows trouble-free operation. Five minute size changeover from 0.156" to 0.316"